Lets go for a ride ! Well today is the day! The weather had not been the best and we had a few things to finish up on her....but today was beautiful. As Ricky got ready he quickly flashed me a crest he had sewn on his vest. He said "I made this when I was 14 and seen you guys playing in the band..had it ever since." Wow ...that must have been a few years back now....like over 25....man time flies. Very kool Rick. Its all about the little things. 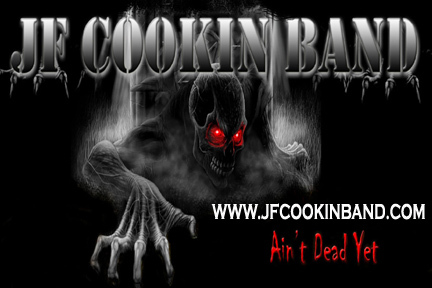 And to celebrate later that night we, once again after over 25 years, we took Rick out to the bar to see "The JF Cookin Band " live. A fitting end to a great visit and a great project.